Lemon Verbena extracts have been used to make ointments and lotions to help lower the irritation and reddening of the skin. It has been used in hair rinses to help strengthen hair and invigorate growth. When it was used as a compress, Lemon Verbena helped reduce puffiness around the eyes. When made into a floral vinegar, it was used to soften and freshen the skin. Its oil has been used in cologne, toilet water, perfume and soap. Infused in oil, Lemon Verbena was used as an aromatic massage oil. 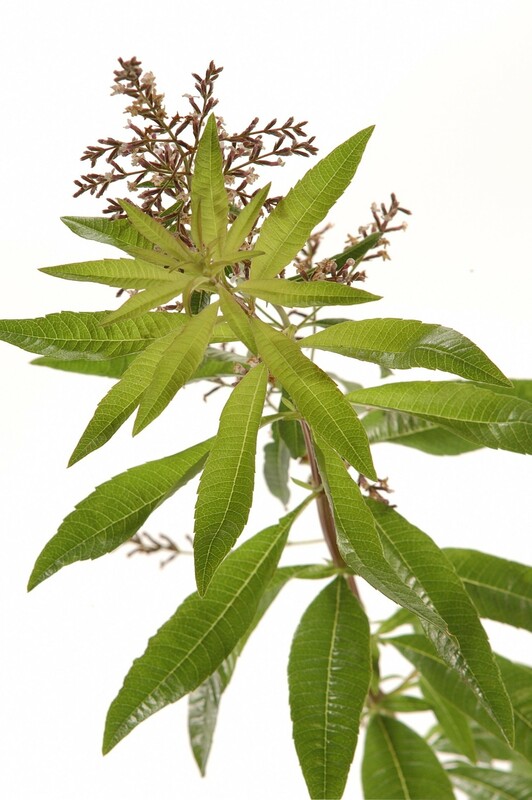 Lemon Verbena has a relaxing and de-stressing effect on the mind and was used to treat nervous insomnia. It was used to stimulate appetite and alleviate stomach spasms, cramps, indigestion and flatulence. Lemon Verbena essential oil has insecticidal, bactericidal, antiseptic, anti-spasmodic, digestive and tonic properties. It is also said that the herb supports healthy functioning of the liver and the respiratory system. It can help in cases of anxiety, nervous tension, stress-related conditions and insomnia. Lemon Verbena oils and extracts should not be used on young children. Lemon Verbena Essential Oil should be diluted before use. Lemon Verbena oil is known to have skin sensitizing effects (phototoxicity), due to its high level of citral. Therefore, you should avoid direct sunlight after use and if sensitivity occurs, discontinue use and seek the help of a physician.